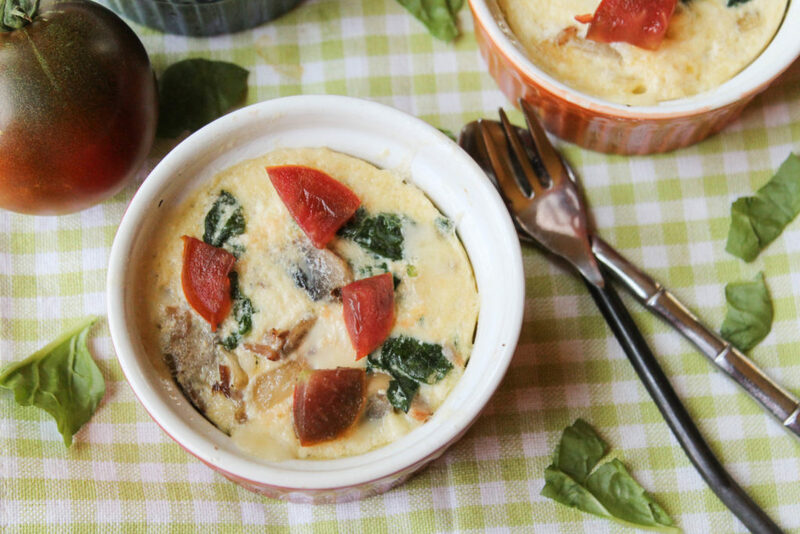 A mini quiche in the Instant Pot…..a perfect make ahead nourishing breakfast for busy mornings! This recipe is RIPE for tweaks too….easily made Paleo, keto, and Whole30 compliant. A high protein quiche ready in a fraction of the time with use of an Instant Pot? The Instant Pot has gathered quite the cult following in the last few years, and for good reason! I use mine frequently and I love how it saves me so much time and frees up my stove for other uses (and less mess!) 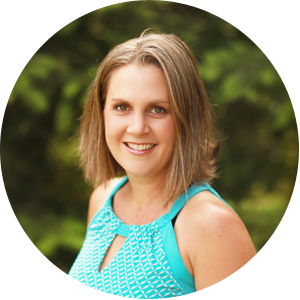 It is the busy mom’s best friend!! About a year ago, I discovered that my whole family LOVES quiche, and it came together in a snap for me! I loved how versatile it was, and how easy it was to adapt to everyone’s tastebuds, as well as to what I had on hand. I had to figure out how to make it in the Instant Pot for busy school mornings….and boy oh boy, delicious!! 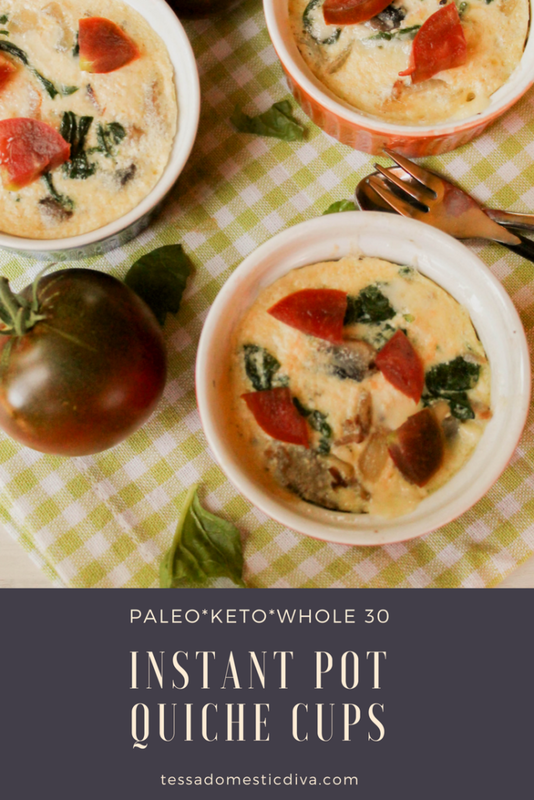 These keto and Whole 30 friendly pressure cooker quiches reheat well, so make more than you need if you want! And if you are looking for some new recipes to get you out of a breakfast rut, or are looking for new ideas to feed your family a healthy breakfast before starting their days, look no further! These Paleo crustless personal quiches are just the ticket! You get to play with what vegetables you prefer…..if it makes a tasty vegetable saute, then it will be good here too! OR leave the veggies out all together…YOUR choice!! Decide what meat you would like, or leave it out all together. Bacon, ham, and sausage are all traditional. Crab would be good too! Cheese or not…that is up to you! It is easily omitted. Want some more healthy breakfast options? Try some of these gluten free and Paleo recipes too! If you want some more Instant Pot inspirations, check out all my recipes that use a pressure cooker! In a large skillet over medium heat, cook the vegetables and ham in the fat. Cook about 5 minutes until vegetables are soft, but not brown. Meanwhile, in a bowl, whisk the remaining ingredients. Stir the cooked vegetables into egg mixture. Add 1 cup of water to the bottom of your Instant Pot. Spoon the mixture evenly into the 4 ramekins and set on top on steaming trivet in the Instant Pot. Set the 'manual' time for 6 minutes. Did you cover the pots with foil? 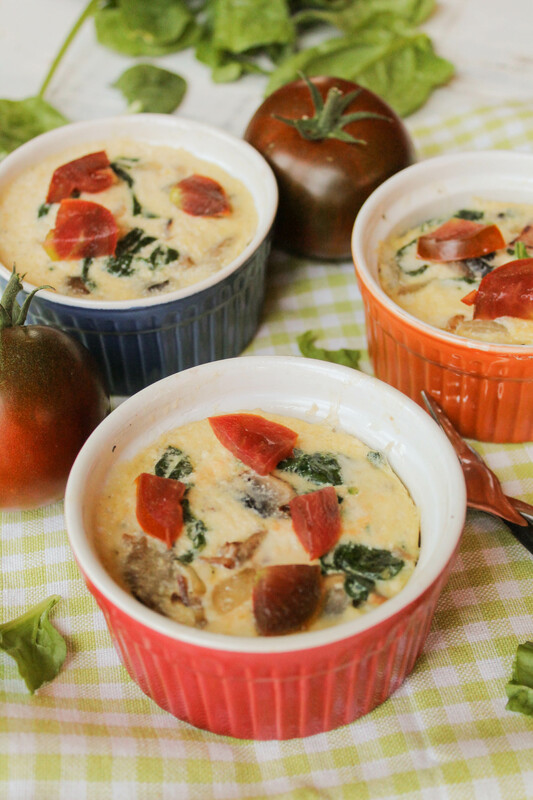 I love quiche- and being able to use this recipe while I’m eating paleo is such a bonus! Tasty! My husband is Irish and he loves his quiche. Thanks for sharing this healthy version. I’ll be making it for him ! These are perfect for having company in town. So cute and tasty! These are so much fun. I like that you emphasize the flexibility of the recipe!! Love the sweet potato or butternut squash, rosemary, goat cheese, spinach option; so YUM! And the ham and cheese. Lovely! Awesome recipe! I never ever thought about cooking quiche in an IP. Brilliant! This is my kind of breakfast, made ahead, portioned out, and packed with flavor! 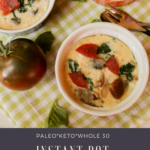 I just love my Instant pot for eggs! I’m down for a keto friendly quiche! This looks so cute and delicious, and I love all the healthy veggies packed in there! Do you put water in the bottom of the instant pot? yikes! You bet!! Thanks for catching that, 1 cup of liquid as a minimum is almost always needed for pressure cooker cooking! This looks and sounds delicious! Another reason to get an Instant Pot. I LOVE my Instant Pot Tori! So worth it!